It can seem a bit ghoulish to release an artist's music posthumously. You wonder--how do we know he or she wanted it out there? Does it have something new and important to say, or are the survivors simply profiting or unable to let go and move on? And yet, if we love the artist, we long for more, especially after a sudden, tragic, much-too-soon death. I first saw them at the Dakota in 2004, and after that, I never missed them. Their fourth and final performance in Minneapolis was April 19, 2007. 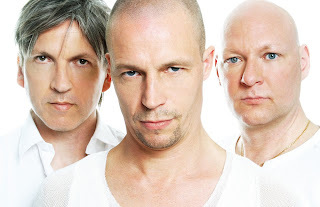 I contacted their publicist later that year about a possible tour behind their CD "Live in Hamburg," and she said they might come to Minneapolis again in June 2008. Earlier in 2007, the group had used some off time in Sydney to record new songs and material at the city's Studio 301. Soon after, Svensson edited much of the material, some nine hours' worth, down to two CDs. The plan was to release either a double album or two consecutive albums. The new CD is named "301," after the Sydney studio. Berglund and Öström did the editing in late 2011. Neither is guilty of not moving on. Berglund has a new band, Tonbruket, made of friends from before e.s.t. ; they have released two CDs so far, "Tonbruket" and "Dig It to the End." In 2011, Öström released a solo CD, "Thread of Life," that includes a Svensson tribute by Berglund and Pat Metheny. 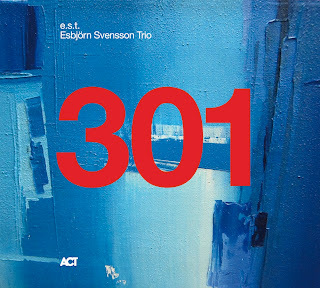 To finalize "301," Berglund and Öström worked with e.s.t. 's sound engineer Ake Linton, the man behind the mixing desk for over 500 live shows, overlayer of the effects and distortions that helped to create the signature e.s.t. sound. Linton had been in the Syndey studio when the original recordings were made, and he traveled to Bohus Sound Recording in Gothenburg, Sweden, for the mixing and mastering. "301" came out first in Europe, where it has already earned raves as "one of e.s.t. 's greatest albums, and even arguably their ultimate work" (BBC Music). The trio is on the cover of this month's Jazzwise. From the cover story: " '301' sounds as if it was recorded on a different planet in a different universe--it roars where 'Leucocyte' simmers, it powers where 'Leucocyte' is polite and it packs a powerful emotional punch where 'Leucocyte' gives you a peck on the cheek." The new album is available in the US on May 8, on the ACT label. Seven tracks and just over an hour of new, never-before-heard music by e.s.t. Not ghoulish; a gift.